The many faces of Ben …. Baby Photography Arvada CO Aww, geez. So cute! 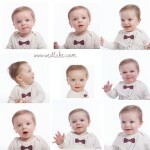 Here are a few highlights from Emma’s 6 month old photo session. Look who just turned one year old!